"764.-Frozen Aquaduct, Portage , N.Y."
"Views on the Line of Erie Railway." This view shows the Portageville Aqueduct on the Genesee Valley Canal during the winter. It is taken from the Portageville end of the aqueduct, looking toward the present day Park. 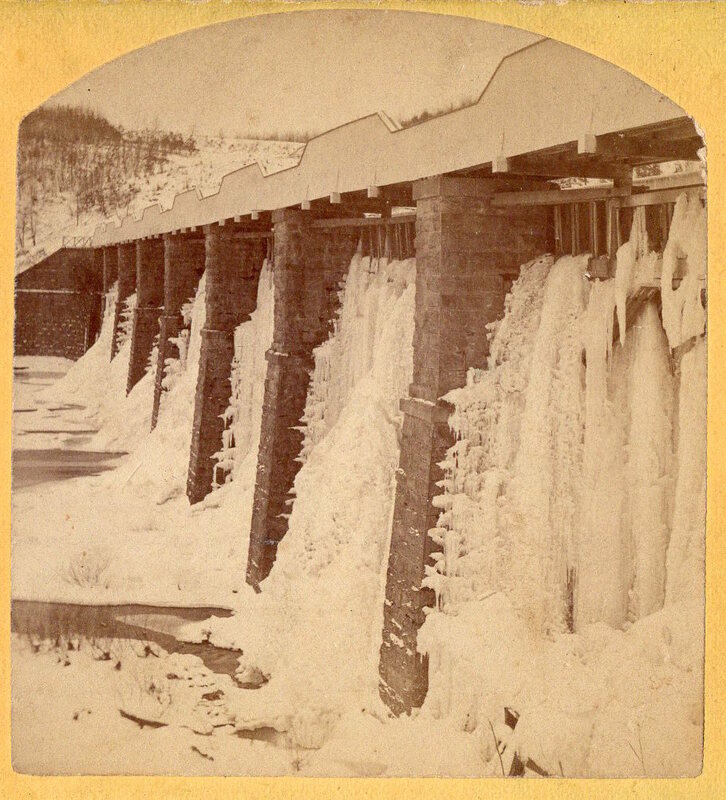 Although the Canal was drained each winter to prevent damage, enough water remained to form the ice cascades seen in the image. For other views of the Aqueduct, see Image 65. An enlarged image is found below.